We strive to provide each of our guests with friendly and personal service. Our cheerful receptionist is availabe from 8 a.m. to 8 p.m. daily to take your call. 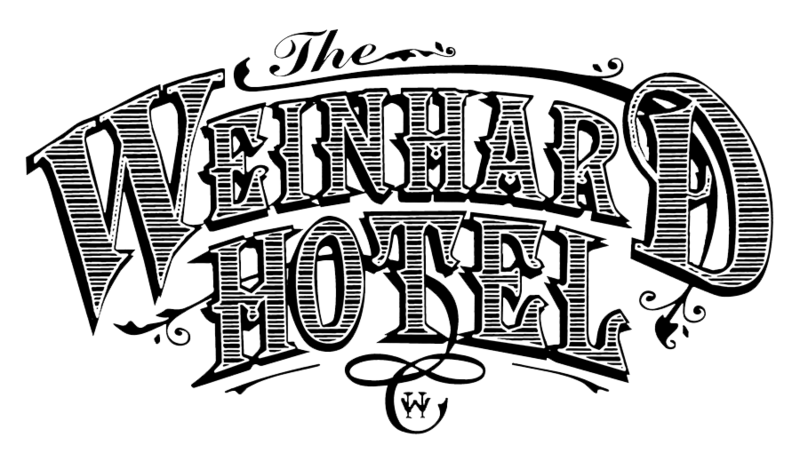 The Weinhard Hotel is located in historic Dayton, Washington on Highway 12, northeast of Walla Walla, Washington's premier wine appellation. We have provided a map (below) for assisting you in your journey to a most memorable stay in one of the most lovely, authentically restored hotels in the entire State of Washington. If you appreciate the preservation and restoration of historic sites and you love to be pampered, you will not want to miss The Weinhard Hotel in your travels. The Weinhard Hotel is an exclusive property where every guest reservation is important to us. If your travel plans change and you must cancel your reservation, please call us at least 7 (seven) days* prior to your arrival date for a cheerful refund of your deposit. In the unlikely event that you must cancel with less than seven (7) days* notice, shorten your stay or check out early, please understand that we must ask you to take responsibility for your entire reservation. If we can rebook your room(s), a full or partial refund will be made. Rates/policies are subject to change and vary during high impact periods and special requests. *A 30 day cancellation notice is required on whole house bookings and 14 day cancellation notice is required for special event weekends. Check-in: 4:00 PM - 9:00 PM. If arriving after 9:00 PM, please call to make arrangements. Absolutely No Smoking inside; however designated outdoor smoking areas are available. A $200 fee will be charged to your credit card if we find that you have disregarded this no smoking policy. Pet PolicyYour well mannered dog is welcome - a $20 non-refundable pet fee will be charged. Pets must be on leash in our public areas, and must not be left unattended in the guest rooms. 10.4% State and County sales tax will be added to room rate. Gift certificates must be presented at check-in. Gift certificates are transferable. Any remaining amount on gift certificates can be used at a later day up to the expiration date. Gift certificates cannot be redeemed for cash.